The board came [Kd][9s][3c][Tc][6s] and Welsh's tens held up to take the pot and eliminate Paschal in 7th place. 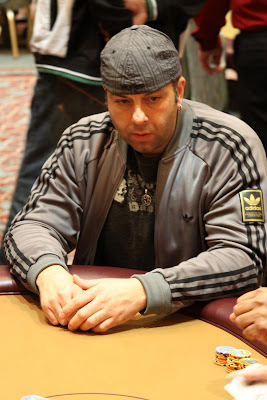 Pabon had flopped a set and had a commanding lead in the hand. The turn was the [4s] and the river came the [Qd]. Pabon took the hand to double up to over 150,000. The board came [Jh][8c][5s][3c][Ts], giving Welsh the pot and eliminating Carlton from the tournament in 8th place. Carlton had the lead but the board ran out [9h][9s][8c][As][Ah], giving Welsh a full house and the double up. Rosholt was ahead but saw his tournament hopes dashed when the board came [9d][8c][3c][Jc][7s]. Lastra made a pair of jacks to win the hand and eliminate Rosholt. We have lost out 11th place player and the remaining players are redrawing for seats at the final table. In the last few minutes, there has been a flurry of eliminations and we are down to 11 players. We will redraw for the final table with one more elimination. The 16 remaining players are now on a 10-minute break. 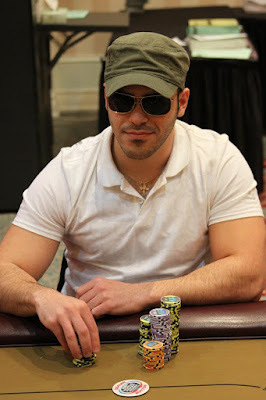 When they return, the blinds will be increased to 4K-8K with a 500 ante. Tournament officials are currently racing off the 100 chips. With only 20 players remaining, we are down to the final two tables of the $200 NLHE Shootout. Play has resumed with the blinds at 1,200-2,400 with a 300 ante. The 28 remaining players are now on a one hour dinner break. The players are currently on break. When they return the blinds will be 800-1,600 with a 200 ante. There are approximately 45 players remaining. The blinds are now 400-800 with a 100 ante. 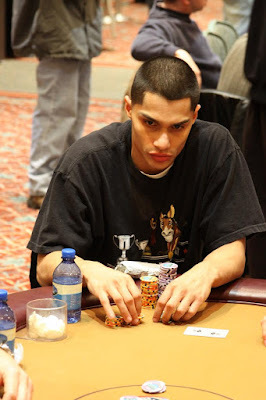 There are approximately 65 players remaining, including 2007 Foxwoods Poker Classic Champion Raj Patel. We have lost player number 91 and the bubble has burst. The remaining 90 players are all in the money. There are now 91 players remaining, we are officially on the money bubble. With the elimination of one more player, we will be in the money. There are now 96 players remaining. 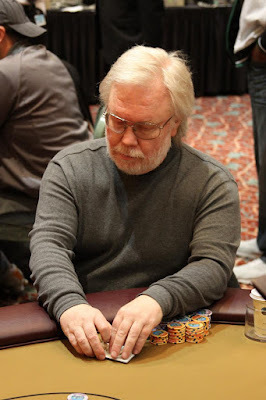 The 120 remaining players have returned from break and the blinds are now 200-400 with a 50 ante. With blinds now at 100-200 with a 25 ante, there are now approximately 127 players remaining. The top 90 will finish in the money. The players in the $200 NLHE Shootout are currently on break. 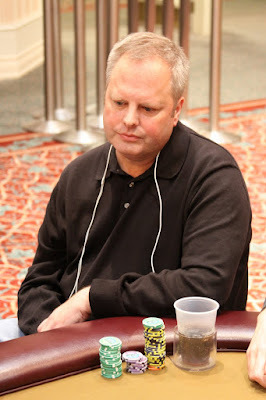 There are approximately 171 players remaining out of the 206 that started the day. Blinds will be increased to 100-200 when they return. 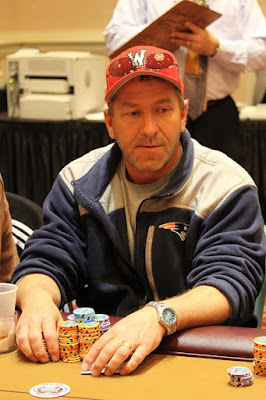 There were a total of 108 players in today's $400 7-Card Stud Event at the Foxwoods Poker Classic. 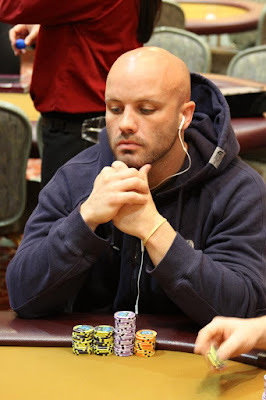 Jay "WhoJedi" Newnum gives a quick recap of what is going on during day two of the Foxwoods Poker Classic. 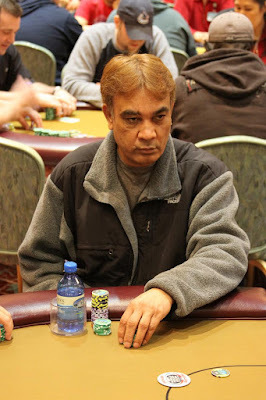 Raj Patel, who won the 2007 Foxwoods Poker Classic Main Event for $1,272,905, is still in day two action of the $200 NLHE Shootout Event. 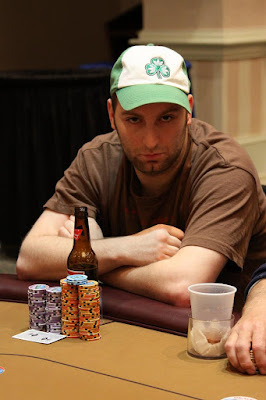 James Smashe, another winner of the Foxwoods Casino Text to Win Contest on day two of the $200 NLHE Event. 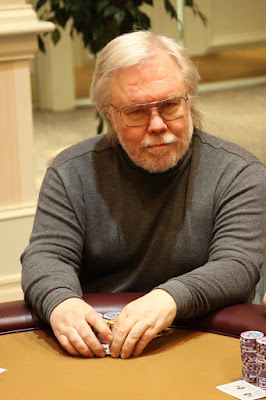 Today at the 2010 Foxwoods Poker Classic will be day two of the $200 NLHE Shootout starting at 11am in the Grand Pequot Ballroom. At 1pm, the $400 7-Card Stud event will kick off in the main poker room. For a full schedule of all upcoming events at the Foxwoods Poker Classic, just click here. 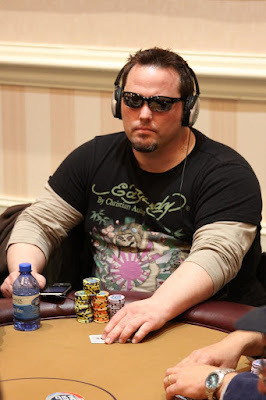 A total of 895 players entered the $200 NLHE Shootout. There are 206 players remaining and the final 90 players will finish in the money. 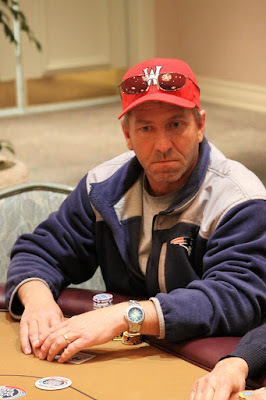 Day one of the Foxwoods Poker Classic has come to an end. 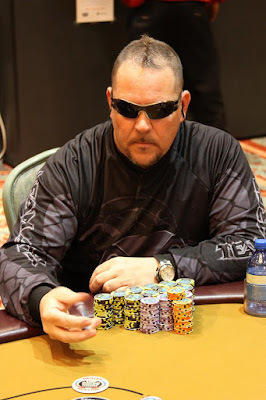 Round 5 of the $200 NLHE Shootout Event has finished. There were a total of 895 entrants in today's event. Play will resume tomorrow at 11am. The remaining players will start with 5,000 in chips and play 40 minute levels. Payouts will be posted in the morning. Make sure to join us tomorrow at www.FoxwoodsLive.com for all the action and check us out on Twitter at www.Twitter.com/FoxwoodsPoker.